A large number of clean energy technologies, from wind turbines and energy-efficient lighting to electric vehicles and thin-film solar cells, are made with materials that have unique chemical and physical characteristics, including magnetic, catalytic and luminescent properties. 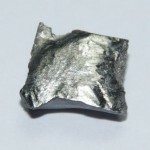 In 2011 the U.S. Department of Energy has identified five rare-earth materials – neodymium, europium, terbium, dysprosium and yttrium – as critical materials, which are essential to the clean energy economy and are at risk for supply disruptions. Neodymium (Nd) is a soft, silvery metal used to create some of the strongest permanent magnets. Such magnets are found in most modern vehicles and aircrafts, as well as popular consumer electronics, including cell phones, microphones and hard discs. Neodymium is also used in the powerful magnets that help to drive wind turbines and electric engines. Europium (Eu) is utilized primarily for its unique luminescent behavior. In particular, it acts in light conversion devices by absorbing ultraviolet light and emitting light in the red visible spectral region. Europium phosphors are used to make red color in TV and computer displays. In energy efficient fluorescent lighting, europium provides not only the necessary red, but also the blue color. 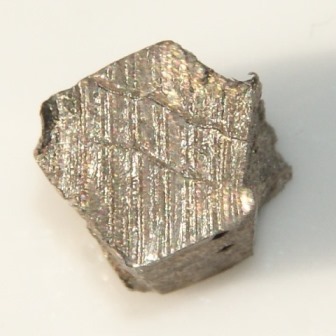 Dysprosium (Dy) is a rare earth element that has a metallic, bright silver luster. It is soft enough to be cut with a knife, and can be machined without sparking if overheating is avoided. 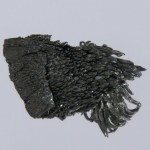 It is used in lasers and commercial lighting, as well as in the production of hard computer disks and other electronics that require certain magnetic properties. 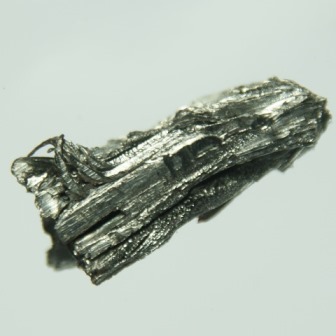 Dysprosium may also be used in nuclear reactors and modern, energy-efficient vehicles. Yttrium (Y) is a rare earth element used in many vital applications, including superconductors, powerful pulsed lasers, cancer treatment drugs, rheumatoid arthritis medicines, and surgical supplies. 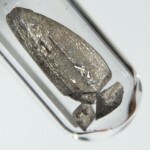 Yttrium is a key material in phosphors for fluorescent lamps. It is also used in solid oxide fuel cells for distributed power generation. Terbium (Tb) is often used in compact fluorescent lighting, color displays, and as an additive to permanent rare earth magnets in order to allow them better functioning under high temperatures. It is aslo used in fuel cells that operate at elevated temperatures, in the production of electronic devices and in naval sonar systems. While these critical materials are generally used in low volumes relative to other resources, the anticipated deployment of clean energy technologies could substantially increase their worldwide demand. Energy technology demand for rare earth elements also competes with a rising demand for these materials from other sectors. Moreover, a lack of diversification in supply sources could also put future availability of these elements at risk, since more than 95% of rare earth elements are currently produced in China. Despite the high cost and high demand for the critical elements for energy technologies, very little of them are recycled. In 2011, the U.S. Department of Energy estimated that less than one percent of rare earth metals were recovered. The main reason of this is that recycling rare earth elements isn’t as easy as recycling glass or plastic – there are challenges at nearly every level. The elements are present in very small amounts in products like cell phones or hard disks. For example, in a touch screen of a cell phone the rare earths are distributed throughout the surface at the molecular scale. Cell phones and other consumer electronics are generally recycled by smashing, shredding and grinding them into powder. The powder can then be separated into component materials for disposal or recycling. But modern electronics incorporate more and more elements — some around 65 in total, which makes the powder a very complicated mixture to separate. Moreover, there are serious doubts on the efficiency and sustainability of existing recycling methods. Most of them require large amounts of energy, toxic solvents and could be too expensive to justify the material recovery. It is therefore critically important to conduct basic and applied research in order to better understand chemical and physical aspects of the rare earths separation and develop new options for their efficient recycling. In this context I would like to present five European research projects that are working on development of new technological solutions that could unlock the potential of the critical rare earth elements recycling and recovery. RARE³ project is focused on the development of breakthrough non-aqueous recycling processes for two main applications of rare earths: permanent magnets and lamp phosphors, which represent more than 70% of the rare earths market by value. The project targets the five most critical rare earth elements: neodymium, europium, terbium, dysprosium and yttrium. This work is a part of a more general objective of University of Leuven to create fully integrated, closed-loop recycling flow sheets for rare-earth magnets and phosphors. Value from Waste is an associated research project launched by seven major European research institutes (Fraunhofer, CEA, TNO, VTT, SINTEF, Tecnalia and SP). It aims to increase the recovery rate of such rare earth metals as neodymium and dysprosium from the waste streams. The challenges lie in the fact that the material must be sufficiently clean in order to be recycled, and we have to be sure that it is not contaminated by other harmful materials. Researchers are therefore focusing much of their work on finding out which products could contain pollutants, which methods are best for analyzing and measuring the content of the polluted materials, and when such products can be expected to be found in waste. RECLAIM project aims to develop technological solutions that relieve current bottlenecks in the recycling of gallium, indium, yttrium and europium from photovoltaics, solid-state lighting and electronics waste. The project is working on the separation methods for electronic assemblies that reduce manual work (>80% automation) and on subsequent recovery methods that will yield recycled materials of commercial-grade quality (>99-99.99%, depending on the element), apt to fit an industrial context and being environmentally compliant. REEcover project aims to: 1) Improve European supply of the critical Rare Earth Elements (REE) yttrium, neodymium, terbium and dysprosium; 2) Strengthen SME positions in REE production and recovery value chain; C) Innovate and research two different routes for hydro/pyro metallurgical recovery of REEs: as Rare Earth Oxides (REO) or Rare Earth Oxy-Carbides (REOC) in electrolytic reduction; D) Demonstrate and compare viability and potential for these routes on two different types of deposited industrial wastes: tailings from the iron ore industry (high volume but low concentration of REE) and magnetic waste material from the WEEE recycling industry (low volume but high concentration REE). REMANENCE project aims to dramatically increase the amount of rare earth materials recovered and remanufactured from existing waste streams. The project focuses on recycling neodymium magnets, as they contain such important materials as neodymium, iron and boron. Neodymium magnets are used in many products, including hard drives, speakers, cell phones, electric motors and generators in wind turbines. Currently there is no existing process for the recovery of neodymium magnets from waste streams and this highly valuable material is lost in landfills with no prospect of commercial recovery. The researchers are working on the development of new advanced sensing and mechanical separation techniques in combination with innovation processes of rare earth elements recovery. Meeting increasing global demand for materials critical for clean energy requires dramatically improving resource efficiency. In this situation recycling and recovery of rare earth elements could be one of the key ways to increase the amount of critical resources, thus opening up promising business opportunities in this area. The development of technologically and economically efficient recycling methods is also a compelling business case of making sustainability profitable. Reduction of e-waste and recycling of end-of-life products will clearly deliver environmental benefits. And at the same time it could have a significant impact on increasing the supply of critical materials for clean technologies.